1. In a blender, add the cashews, cheese, almond milk, water, butter, salt, mustard, and cornstarch. Blend on high speed until fully combined and sauce is smooth without any lumps. 2. 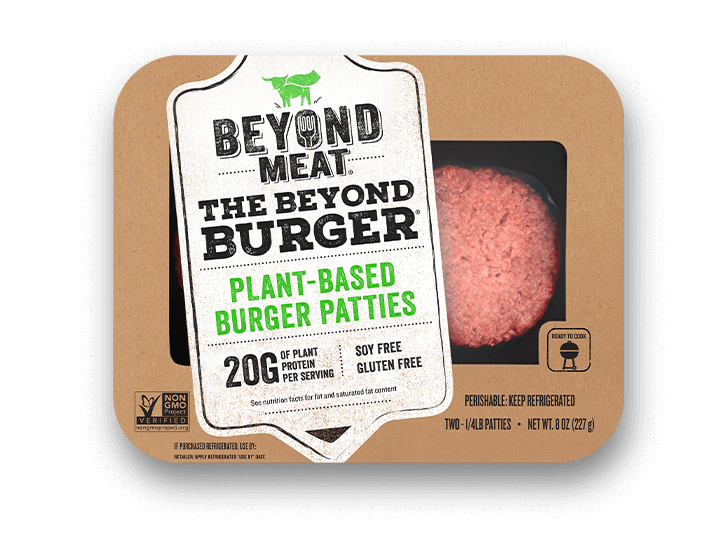 In a skillet over medium high heat, add the beyond burger patties. Crumble with a wooden spoon into small pieces. Cook, stirring occasionally, for 5-7 minutes. Remove beyond burger from the skillet and set aside in a bowl. 3. 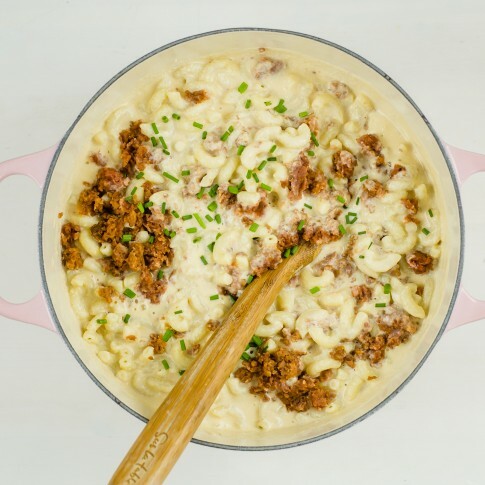 In a large mixing bowl or dutch oven, combine the cooked macaroni, cheese sauce, and cooked beyond burger. Stir to combine and garnish with chives. Serve immediately.